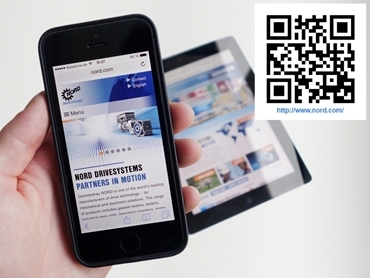 NORD Drivesystems announces the launch of its new and improved website featuring a responsive design that allows access on mobile devices. The enhanced NORD Drivesystems website, available at www.nord.com comes with optimised usability along with a fresh new look. Offering comprehensive information on drive solutions, the new website features complete product details and reference projects with the download section neatly arranged for access on PCs, tablets or smartphones. The well-organised product section provides comprehensive information on all available gearboxes, motors, and drive electronics units with a special focus on energy-efficient motors. Each individual product page contains detailed data and includes all the relevant links to documentation and software. Users can also quickly generate CAD files and 3D models. The user-friendly navigation allows easy access to information using the mouse as well as the touchscreen. NORD Drivesystems also offers local language websites for major national markets from NORD subsidiaries, including Chinese, Vietnamese, and Portuguese.